New Year, New Candy: Treat Yourself to Something Sweet! We’re always adding new candy delights to the shelves at Blair, but it’s not too often that we share them here on the blog. After all, that’s what Facebook, Twitter and Pinterest are for, right? But we think some of our newest additions deserve a bit more attention paid to them, and that’s what we’re going to do with this post today. While the rest of the world works diligently on their New Year’s resolutions, shopping for champagne and wondering which dress or suit they’ll wear tomorrow evening, we’re happily snacking away on the sweetest of sweets to inspire a Top 3 list of must-try temptations. What better way to ring in 2014 than with candy? None we can think of! 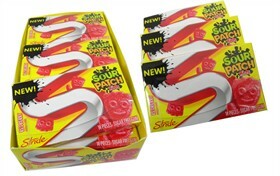 Sour Patch Kids Gum – OK, technically this one isn’t a candy, but for gum fans everywhere, it’s even better! Stride gum has captured the supremely sour flavor of Sour Patch Kids and worked their gum magic to serve it up in gum form. 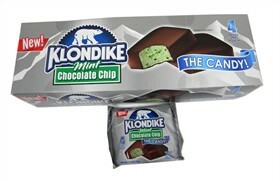 My personal pick is Redberry, but the Lime gum is pretty great, too. And they’re both sugar free! e.frutti Gummy Ducks – I’m a big fan of e.frutti gummy candy, with its squishy-soft texture and perfectly sweet flavor, and these adorable fellas don’t disappoint! For starters, they’re cute-as-can-be. They’re plump, they have adoring eyes, and their feet seem too big for their bodies. And then there’s the fresh flavor, which matters most of all. 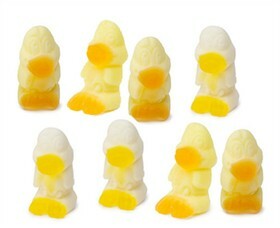 Add to that the fact that they would be charmingly perfect for baby showers, and we’ve got ourselves a quack-tastic winner. 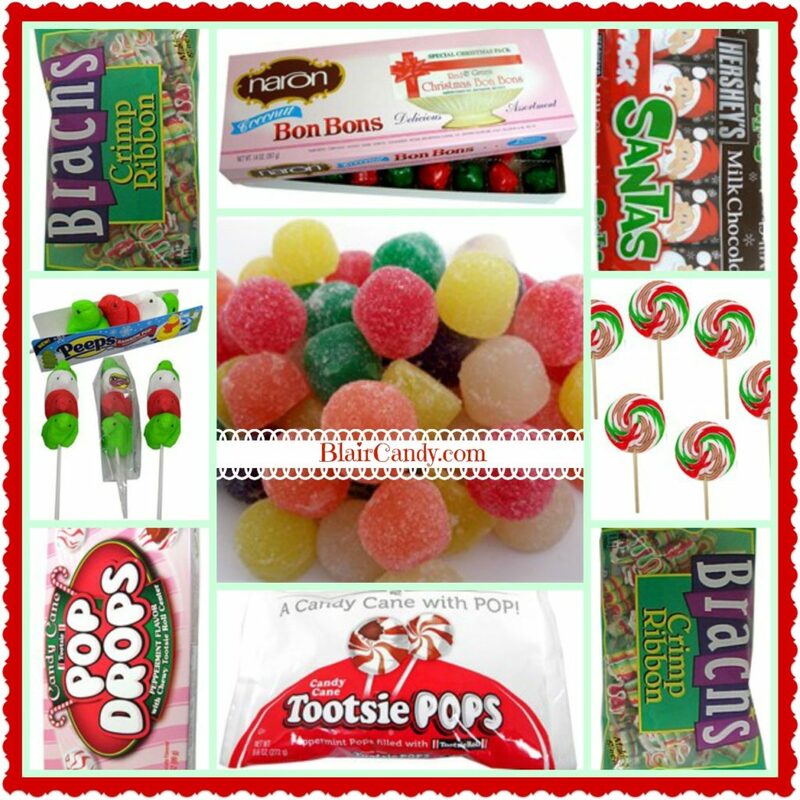 Grab Your Christmas Candy Before It’s Gone! We should start off this blog post with a genuine ‘Thank You!’ In a world full of big box stores, and grocery stores that nearly require a map to navigate, so many of you come back to Blair Candy time and again for your favorite candy, both nostalgic and new. We are proud to work for a family-owned and operated company where we might spend more time at work than home, but where work starts to feel a lot like home. None of that would be possible without all of you, and we’re sending you a great big virtual hug! Giant Gum Drops – $5.25 for 32 oz.